Congratulations on both deciding to and being able to see the big, beautiful world on an intercity bus. This planet is full of adventure, both the good kind and the not-so-good. The key in life is to have more of the former kind of adventure and less of the latter. Part of having a good adventure is to emerge from the experience safely, wiser, and mentally richer. 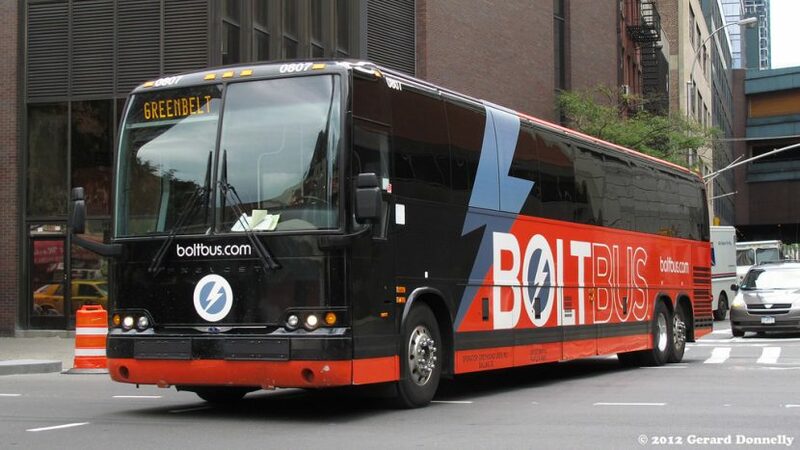 Depending on where you’re coming from and where you’re going to, traveling on a bus can take several days. In that way, the sheer length of the journey, it differs from other forms of mass transit. The bus is more flexible than other transport options. It goes to more places. For example, when a town’s bus station is undergoing remodeling, the bus company will sometimes change it to a fast food restaurant or gas station. Because the very nature of bus travel is more flexible, you’re going to need to be more flexible. You’re going to have a better experience if you’re well-rested. No matter where you’re traveling, a bus remains one of the best ways to see the world. In order to see this, however, it’s essential to have a positive mental attitude. What the bus can offer is improvement for your mind, heart, and soul. On the bus, you get the feeling of every place in between two points the way you never world on a plane. You can get that feeling by driving a car but a bus doesn’t shelter you from anything the way your personal car does. Neither the rest of humanity nor the country. In this era of targeted articles and ads on the Internet, that’s an increasingly rare experience. Too many people shelter themselves in a filter bubble. A few long rides on a cross-country bus will fix that. In the United States, some people on the coasts call the cities, states, and places between the Atlantic and Pacific Ocean “flyover country.” If you were going to travel between the coasts on a bus, that’s what you’re going to spend a lot of time seeing. You’re going to keep life very real. You’re going to spend your time with undocumented migrants, with broke college students, with people on government assistance, and the rest. In a sense, traveling by bus — and getting the opportunity to sleep on a bus — is a luxury. The cost is time. Time is the most valuable currency of all. Many people don’t have the time to do it. There’s only so much vacation time. They want to get to their destination and do whatever they were going to do there in the most ostensibly efficient way possible. That way usually isn’t the bus. This part mainly applies to people traveling on intercity bus lines. People who are traveling by tour bus or by chartered bus won’t necessarily have all of these concerns, though it always pays to be prudent. Due to the different clientele, they won’t necessarily have the same concerns about personal safety. When it comes to bus travel, you want to end up at your destination safely. You want to have positive experiences to relate to friends and family. You don’t want to be excessively delayed. The last goal you can’t help. That’s out of your hands. Getting delayed on a bus can turn into one of the most miserable experiences you can have. Let’s not candy coat it. I’ve personally experienced some long, rough delays. Once, I was a passenger on a bus stopped in a medium-sized city in west Texas in the middle of a December night. There was no announcement about how long we were going to be there. The driver simply stopped the bus and got out. No other communication from the driver or the bus company. Nothing. It was below freezing. We were treated like livestock. In the morning, we found out the bus we had been riding in had mechanical issues. We were moved to another bus. The driver hadn’t wanted to deal with disappointed passengers so he hadn’t told them anything. Then there were the colorful days of the Chinatown bus lines in the northeast United States where ultracheap fares would lure all kinds of budget-minded travelers. The buses were renown for poor maintenance and aggressively trying to keep schedules. Whether or not you experience a delay like this is out of your control. Much of life is like that. Remembering that makes nights spent with a warm comforter and a soft bed in a home with a roof over my head all the sweeter. It saves you from being stupid and spoiled and makes you considerate of your fellow man. Keeping a PMA (positive mental attitude) is the first step to sleeping well on a bus. If you can’t afford anything better, don’t cuss that fact. Accept the opportunity to travel with gratitude. You may find yourself looking back at this experience fondly. Think of all of the country you’re going to see. Until you’ve done it or if you haven’t traveled by bus in a while, you don’t really know what you’re going to be in store for. In many countries like Mexico people of all socioeconomic classes travel by bus. Experiences like the one in Abilene are less likely to happen in mixed socioeconomic company. Bad weather and mechanical failure happen at all economic strata, but people act with more respect toward middle and upper classes. People who aren’t down and out almost always get treated better by others. Riding the bus in another country like Mexico, India or a European country is an entirely different experience. Creepy people who prey on others sometimes ride the bus. The predators include the bus lines and the fellow passengers. One of the best and surest ways of keeping them at bay is to project an attitude of confidence. It’s as if these people can smell weakness. Whether you’re male or female, big or small, your confident attitude helps to ensure you have the best experience possible. Combine a confident, no-nonsense attitude with security precautions. If you can’t afford to have it stolen or lost, take it to the bathroom with you. Don’t leave it out of your sight. If you’re traveling with someone, you can assign them to guard it. Realize you may be disappointed in the outcome so don’t do that. It’s that simple. Furthermore, don’t get entrapped in sob stories. Don’t hand money out to anyone. Don’t buy anyone food. You’re not a social service agency. You’re here to ride the bus and get to where you’re going. Period. Act like it. If you want to help the poor and unfortunate, help as part of an organized effort. If none of the existing agencies seem to be doing a good job of this, you’re capable of starting your own. Pursue charity as a serious — not casual — matter. Avoid getting sucked into any games. Don’t make yourself a target. Don’t get involved with any of their drama real or imagined. If they want to mooch off of someone else, and somebody else lets them, that’s their affair. You want someone who makes interesting conversation. You want to talk about the places you’ve been, the places you’re going to see and the weather. You want to look out for interesting things along the way. You want an extra set of ears to listen for any important announcements. You want an ally. Somebody who’s asking for money for a soda or something else like that isn’t an ally. Firmly — but politely — refuse. Give them the respect you’d give any person but go on with your business of adventure and getting to your destination. If you understand this you’re going to be able to relax and sleep on the bus and, if you need to, relax and sleep at the bus station. Once you’re behaving confidently and creepy people have left you alone and moved on to bother others, you can relax and get comfortable. The next task is to relax in a chair. On the bus, the seats at the back of the bus can’t recline. If you think you want to sleep, you don’t want a seat that doesn’t recline. There are more reasons than that, however. Not only do many of the seats at the back of the bus lack the ability to recline, but on intercity buses with restrooms, that’s where the restroom is. That means your fellow passengers are going to be going back and forth to the restroom. They might bump into you going back and forth. When maintenance is an issue, there’s also going to be the generally unpleasant smells to contend with. This means the best seats are in the front of the bus with the least people waiting in the aisles, the least people going back and forth. Try to get one of these. 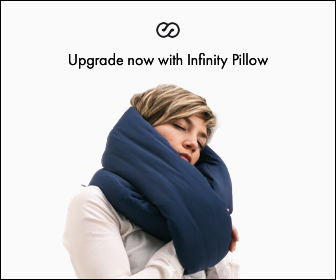 When it comes to neck pillows, hands down, the best in my opinion is the Infinity Pillow. With a compact design, it helps to support your neck allowing you to fully relax. This allows you to get the best sleep possible. It also gives you a place to put your hands which can help them from getting bumped allowing you to truly relax. The Infinity Pillow can also be folded and applied to the seat strategically. It gives you both flexibility and support unlike any other equipment like a common pillow or jacket. An eyeshade can also help block out light which enables you to sleep better. Be careful about this, however. Wearing one of these might be a sign to others you can be taken advantage of. It’s difficult to “sleep with one eye open” if they’re covered by an eyeshade or bandana. Earplugs also help rest. They also block you from hearing any announcements. Consider these too but realize they might not be appropriate for all bus trips. The window seat offers the opportunity to lean against it. It also means you’re not going to be brushed against by people going to and from the bathroom. For some, however, it means you might feel trapped. That is, if you have a stranger as a seatmate. You might have to have a seatmate if the bus is full. If it’s not, place something on the seat next to you. The more room you have, the better you can sleep. If you dress in loose-fitting layers you can ensure you’re going to be the most comfortable that you can possibly be. You can’t control the air temperature around you. Sometimes not even the bus driver can. Dressing in layers is always a good idea. The air temperature between cities and towns can vary wildly. Furthermore, sometimes the temperature on the bus can be too hot or too cold. Layers gives you some defense. It can also be a good idea to bring a lap blanket. It lends both warmth and a subtle feeling of security. Remember it’s hard to sleep if you’re not comfortable. The best bus ride is going to be the one you get on in the middle of the night that originates from the city you’re leaving from. If you get on the bus in the middle onto a bus that started in another city, you might have to ask someone to move their stuff. Don’t let speaking up for yourself make you so uncomfortable you can’t relax. If you’re the one starting out, you can spread out and set yourself up as you like. If you’ve got a traveling companion, all the better. You can trust your seatmate fully, relax and get set for a great ride. The trip is going to match your Circadian clock and you’re going to get to a real bed. No matter how well you master the science and art of sleeping anywhere, you’re going to be the most comfortable laying down. Until you get there, the key is staying as rested as you can be and getting there in good shape. May all your travels be good ones! The Dream Recovery System uses affiliate links from which we receive some compensation.